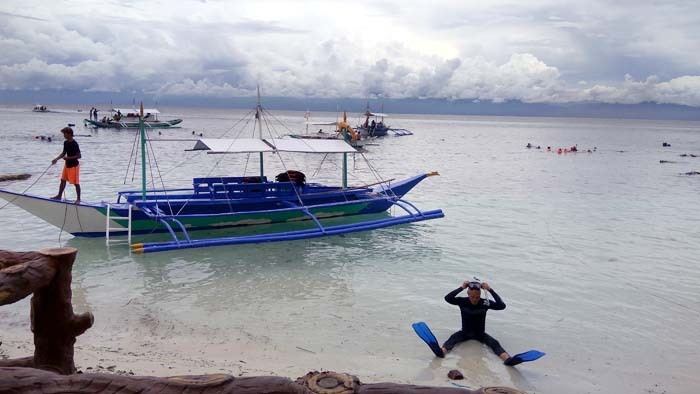 With its dive wall reaching depths of 300m just meters from the beach, Moalboal is an ideal place for freediving. On my own, sometimes with a buddy, I was gung-ho to see how I do freediving within safe limits with no rope, no instructor and no support. 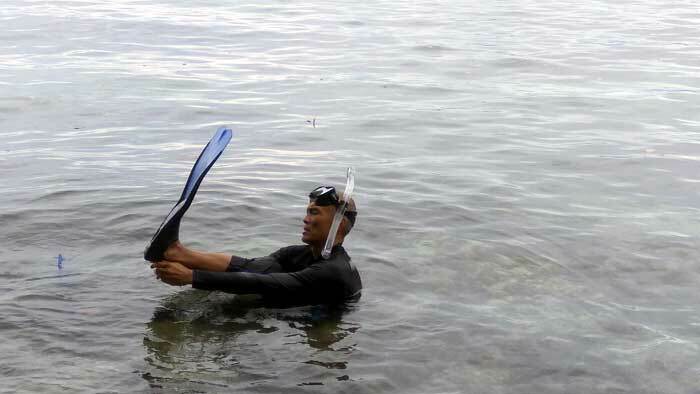 What I find fascinating about freediving here is the fact I was practically hugging the coral wall as I was sinking down, my chest not too far from the reef. I was feasting my eyes on whatever visual spectacle was parading in front of me on my descent. I always do my freedive with a mild yoga warm-up first to stretch the required muscles, do pranayama to prime the lungs and meditate to stay completely relaxed and focused. Ferd, my high school snorkeling buddy, came along for most of the snorkeling. With a buddy, I felt a little more confident pushing the boundaries - but not too deep as he cannot reach my depth for a possible rescue. With him around, we were high school kids all over again. I've done this years back with Ferd and some Cebu yogis doing a drift snorkeling from the marine sanctuary to Hale Manna - a 3km stretch. 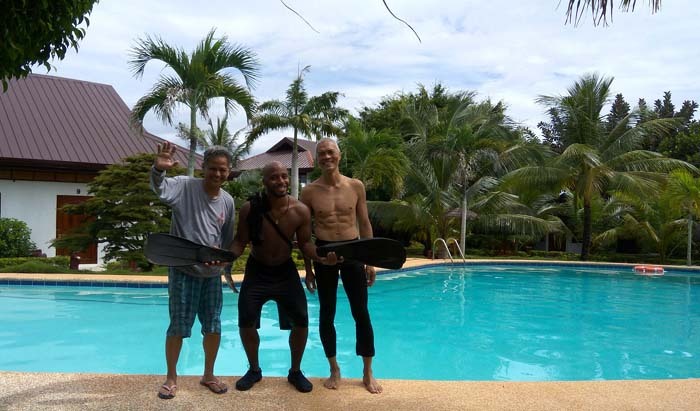 Now, Ferd and I were joined by Leon, a traveler I met in Anda, Bohol. We started at Sumisid Lodge and planned on going all the way to Hale Manna in White Beach - a 5-km stretch! However, there was no current that day. We had to manually fin and after 2 kms, we bailed at the jetty by Kasai Village. Unique to Moalboal, the sardine bowl just off Sumisid Lodge in Panagsama Beach offers a special kind of freediving - piercing through the bowl as the sardines open up like a zipper parting as you pass along. 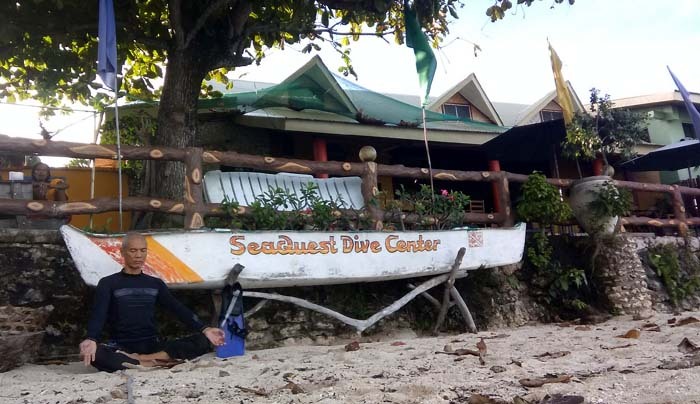 I've done serious freediving in Apo Island and Panglao. 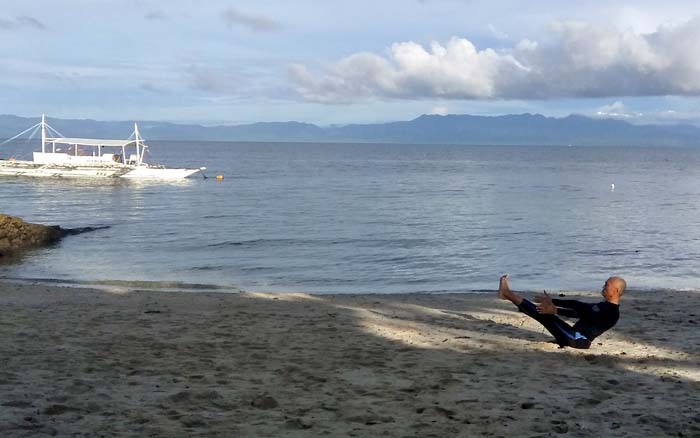 I will have to say Moalboal is best. The depths are just meters away from the beach with corals to animate the scenery.